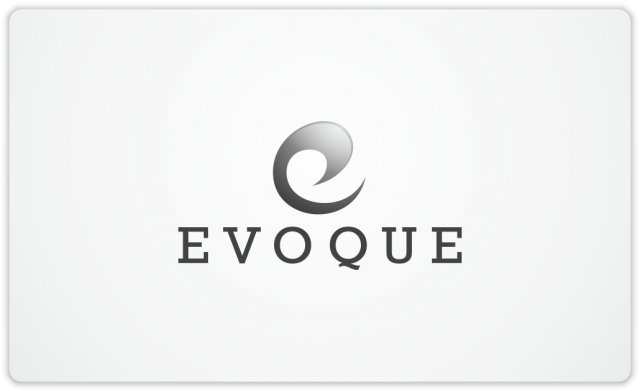 Letter-form logo for Evoque | Natalia Sutkiewicz - Graphic Designer Portfolio. Logo, Business Cards, Stationery. 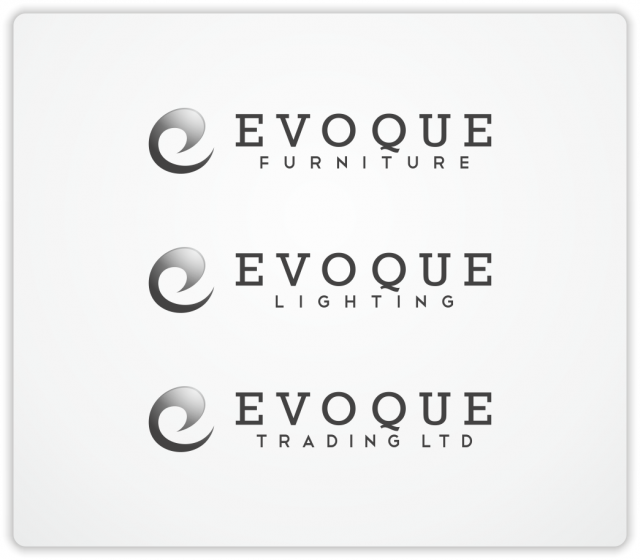 Here’s a set of logos I designed for a company called Evoque, located in United Kingdom. A client was looking for an abstractly shaped letter e, also colours were pre-defined as grey & black. My suggestion was to put that letter-form icon in a contrast to the company’s name, shown in a bit traditional serif font. Such font was chosen by me to represent professionalism, integrity, honesty of the company, when an abstract icon was created by me to suggest highest level of quality products and services. As always at my website I present only the final version of the logo, but it’s one of many concepts I prepared for this client. Next to the main logo I also offered logos for other branches of Evoque group. Last but not least, I designed a stationery set, but that one I present in other blog post.